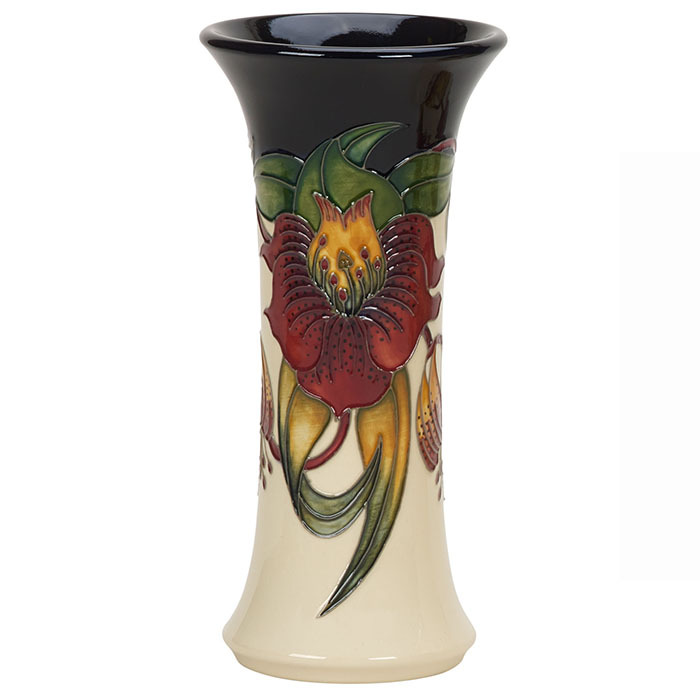 Nicola achieved a high profile when Moorcroft witnessed a sell-out in six weeks of her millennium 50-piece limited edition, Jerusalem, each at a retail price of more than £11,000. 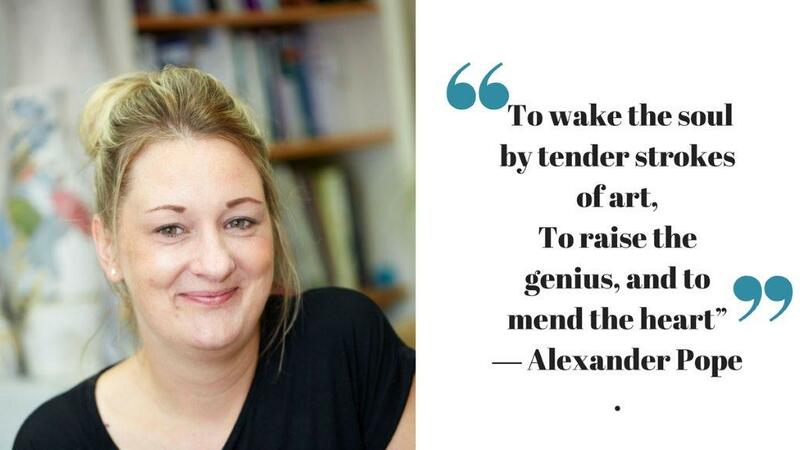 Nicky, as she prefers to be known, is a versatile designer and her creations range from affordable range pieces to highly priced, rare collectable limited editions. Anna Lily, one of Moorcroft’s best-selling ranges was first designed by Nicky in 1998, and is still in production today, lovingly freshened-up with new shapes each year. Nicky favours creating fruit, floral, landscape and designs, though she has a great love of the Arts and Crafts movement and its unique design style that emerged over a century ago. 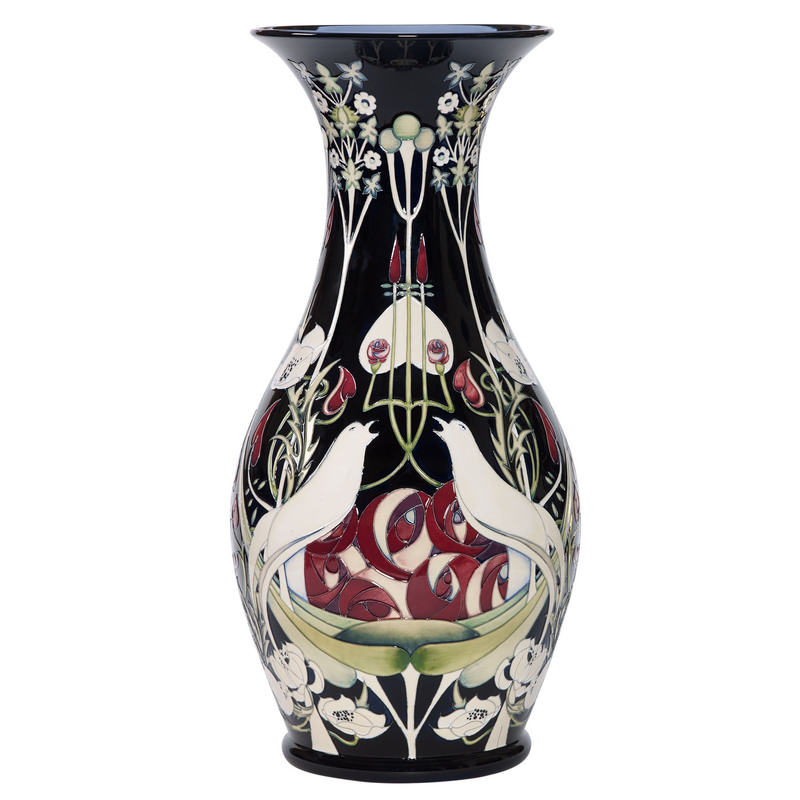 Nicky’s Talwin, offers stylized birds and flowers inspired by Talwin Morris, and is her evolving contribution to Moorcroft. The expanding range has received great praise and admiration as a fine Arts and Crafts themed collection, further enhanced by prestigious large vases and lamps in 2016, but also on its firm grounding as a contemporary artwork. Many Talwin pieces have been photographed in Blackwell, the Arts and Crafts house, located on the shores of Lake Windermere in Cumbria, each appearing at home in one of Britain’s most famous historic houses. Innovative and gifted, Nicky reputation continues to grow by the year.